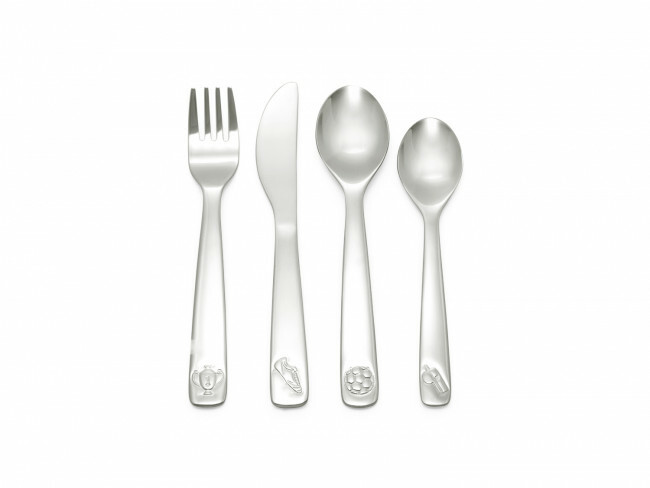 This 4-piece children's cutlery set has images of a sailing boat, car, aeroplane and train. 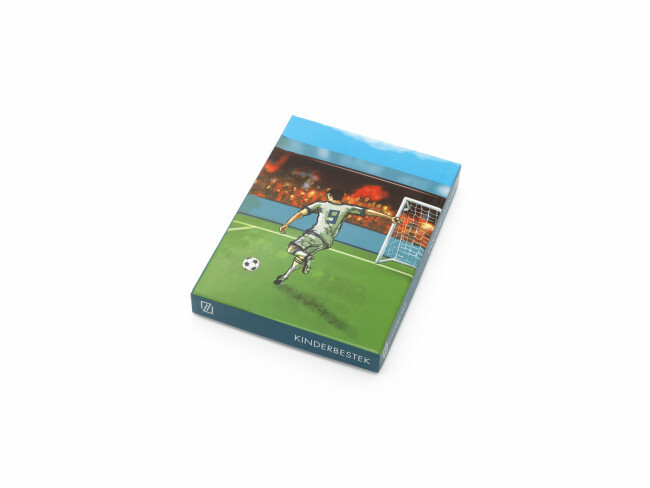 The set is made of 18/10 stainless steel and is dishwasher safe. All pieces can be engraved. 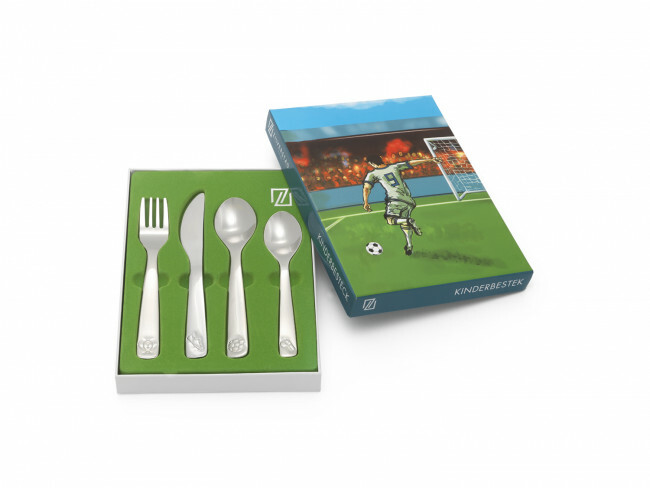 Eating becomes even more fun with this 4-pcs cutlery set Football! The set is made of 18/10 stainless steel and is dishwasher safe. All the pieces can be engraved.